As a voracious reader, I can’t even begin to tell you how thrilled I am to offer this amazing deal from Barnes and Nobel for 50% . I love books. Love the smell. Love the downtime. Love the knowledge gleaned. So, I am rushing on this Barnes and Nobles deal that offers $20 worth of books, toys or games for only $10 through Groupon. The great thing is that you may use it in-store or on-line. Hurry and order these Groupon Barnes and Noble Gift Certificates while they last because you only have through Monday noon. If new to Groupon, Sign up here for an account. Under Featured Deals at the top of the page, click on the arrow for city. Choose Raleigh, Piedmont Triad NC , Roanoke, VA , San Diedgo, CA or Most major US cities are offering this deal). You may need to look to the right side bar where it says side deal. 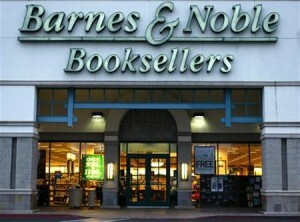 If you’ve used Groupon, use this link to take you straight to the deal Groupon Barnes and Noble Gift Certificates.